One should have immense knowledge about home buying process, as it has a lot of misconceptions and confusions. 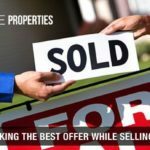 Since you are a newbie, this surely is going to be a complicated process as the knowledge you conceive about the real estate market differs because it is an ever-evolving market. Buyers would likely fall into the pothole of delusions, without comprehending the facts about the home buying process. 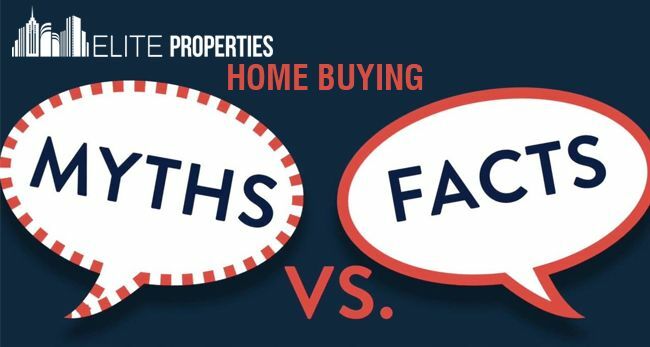 Therefore, here we are providing you with some of the myths and facts of home buying. First off, credit score is nothing but a number that you as a buyer will be evaluated on for verification and eligibility of buying an asset. Your credit score shows the managerial aspect of your finances. It has nothing to do with home buying. Credit scores are evaluated on factors like your revenue source, assets, and employment history which has your salary statement on track. So when you have this myth on your mind that you should necessarily have a perfect credit score, you have a piece of good news below. The myth-buster here is that - There is a fundamental understanding that if your credit score is high you would be able to repay the debts much easier hence you are seen as a loyal remunerator and, ultimately you are not on the financial uncertainty from the creditor’s perspective. In fact, there are some loans under the special category for people who have low-end credit scores. Rationally, when you are buying a property, you’ll have to pay a minimum of 20% of the total amount of the home, again a misconception which has a hidden fact that people should know. If you do so, that is paying the ideal percentage, you are saving a lot of money in the form of additional interest, which you are liable to pay covering the span of your loan. The reality is - As 20% is recognized an ideal percentage to put down, but it isn’t mandatory if you are considering for applying for a (Federal Housing Administration) FHA or (Veterans Affairs) VA loan. 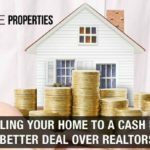 You can put down as less as 3% - 3.5% on the desired property, although you should be thorough with the terms and condition as these are Government-backed loans, come with higher restrictions on credits and other finances. 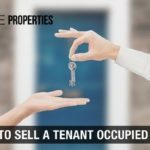 Whereas, there are some cases where there is no down payment required at all if the buyer is qualified. A 30-year loan is the most convenient option for home buyers, this is the most common myth between buyers. Homeowners opt for the particular loan category because it strikes down the increased interest rates and also provides you with a lot of time to repay the outstanding debts. But again as a buyer, the actual fact is; it is not compulsory if you have your finances in place. You can pick a 10, 15, or a 20 year fixed- rate mortgage. Choosing this option will cut down your time but, it will also increase your monthly payments. In such a scenario, you have to be confident about the feasibility of repayments that would strike down your other expenses. There is a myth around people for endless years that buying home for the first time is nearly unapproachable. But the reality is if you have a reliable company and good guidance home buying process is as smooth as butter. Definitely, home buying is one of the most complex phases of your life, buying a home is every individual’s dream and to turn this dream into reality ‘Elite Properties in New York’ will help you in the journey. We have extended knowledge in home buying and local housing market, adding to it our real estate agents are genuine and hold expertise in all the real estate related problems which make the process of buying home effortless. There is a big misconception that buying a home only revolves around monthly payments, which is a lie. Whereas the truth is, when you are planning on an estimate, there are many other factors that come into play inclusive of monthly payments like added upfront closing costs, insurance, property tax, maintenance and many more. When you consider all of the above, you would be able to calculate the expenses and make a realistic budget. Your monthly mortgage payments also have various components to it like principal, interest, escrow payment, and Private Mortgage Insurance (PMI) these components make up the total of your monthly payments. As the myth revolves it states, renting sounds the best option around, you might want to recheck once. The fact is - When you buy a home, you would be paying homeowner’s insurance which is higher than the renter’s insurance, although you won’t be entitled to pay for the maintenance and repairs whatsoever, which is a better deal. It is considered essential to weigh both options before landing on a specific decision. 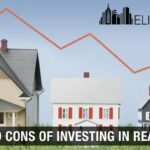 As renting a home could be more economically feasible, buying a home on the other hand would be a stable investment that wouldn’t require upfront charges for extra luxury. One could be easily duped by the home buying myths and facts, but our objective is to drive homebuyers on the right path and provide them with their dream property. 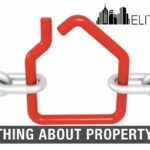 Whether you are a first-time home buyer or you want to sell your house for cash, we at ‘Elite Properties’, cater to all the real estate problems and give you the most accurate and helpful solutions. Now, you can decide the best thing is for you and rest assured you won’t fall for fallacies. This will help you buy the home of your dreams.